Over the years, web hosting has become an indispensable service for all small, medium and large sized organisations. For long, dedicated and shared servers satisfied the requirements of corporate websites, but these were unable to provide the users with the value for money. Many a times, the users had to pay for resources that they never used on their websites. In due time, virtual and cloud hosting have emerged as viable options for such organisations, since the clients have to pay for only as many resources as they use. There is a fine line that distinguishes cloud hosting India service from its virtual counterpart. 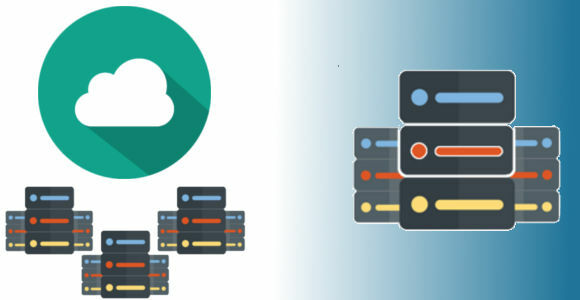 First and foremost, the cloud consists of a large number of servers that operate independently of each other but are linked together. The information on each and every server can be accessed by all the people on the network, and in case a server crashes, all the data stored on it can be transferred to any of its brethren, thereby preventing any loss of info. In this type of web hosting, the users pay for the RAM, CPU, hard disk space and bandwidth they use in operations, but do not have to shell out money for unused resources. On the other hand, VPS hosting service allows the users to utilise the resources of private space on a server through virtualisation. The clients need to pay for the resources being used in hosting their website and data in this instance too, but the flexibility of scaling the server is limited to the resources it has. If the requirements of the user extend to more than the resources available on the VPS server, they would have to switch to a cloud hosting India platform. Also, virtual servers do not allow the users to have any safety in case of crashes, so all the data can be lost when the server crashes.